Chinese President Xi Jinping wants to transform China’s military into the world’s most powerful force by 2050. And he could be on track to do it. On the opening day of its National People’s Congress in Beijing yesterday, China reported a defence budget of ¥1.11 trillion ($A225 billion) for 2018. That represents an 8.1% increase in its defence budget, compared to a 7% increase last year. China’s military has modernised rapidly in recent years. Since January alone it has demonstrated new capabilities in stealth fighter jets, drones, naval ships and advanced missiles. Chinese scientists are also working to develop revolutionary technologies that would change the way wars are fought – and the way we live. While China still lags the US in overall technological capability, it has narrowed the gap substantially. In the coming decades, it is poised to challenge US technological supremacy in key fields such as artificial intelligence, supercomputing and quantum information science. What explains China’s rise as a technological power? First, it has leveraged the innovation of other countries via technology transfers, and the acquisition of foreign companies and talent. It has also been reverse-engineering Western technology, and conducting state-sponsored industrial espionage. According to one security analysis, between 2006 and 2013 the Chinese military stole confidential data from more than 140 organisations around the world. The problem was so serious that in May 2014, the US Department of Justice indicted five Chinese military hackers for cyber-espionage activities against US companies. Second, China has been able to mobilise resources for priority technology sectors and research and development (R&D) projects in a way that many democracies are simply unable to do because of the limits of government power or popular mandate. Large state subsidies, government R&D funding, tailored regulations, market barriers and lax individual rights (such as privacy) protection have given Chinese domestic companies an edge over their foreign competitors. A good example of this is the rise of China’s internet sector to global prominence, as represented by giants such as Tencent and Alibaba. Finally, China has substantially increased its R&D expenditure in recent years. From 2012 to 2017, China’s annual R&D spending rose 70.9% to ¥1.76 trillion ($A356 billion). The US National Science Board expects China to surpass the US in R&D investment, in purchasing power terms, by the end of this year. Here are a few examples of how China is making rapid progress in high-tech fields with military applications. Hypersonic technology could one day allow us to travel from Beijing to New York in about two hours, rather than the 13 hours it currently takes. China is developing a hypersonic glide vehicle known as DF-ZF to make its nuclear and non-nuclear missiles extremely fast, manoeuvrable and capable of defeating existing missile defence systems. 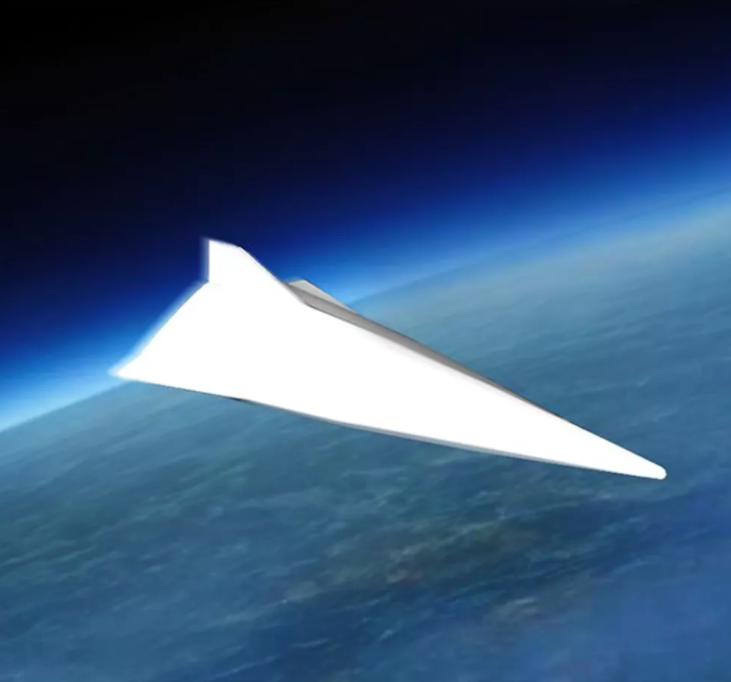 A Chinese hypersonic gliding vehicle. To support this effort, China is building the world’s most advanced hypersonic wind tunnel for testing the extreme conditions of supersonic flight. While an operational hypersonic missile is still years away, once developed it would be a formidable weapon. It could also have a destabilising effect on strategic relations between China and other powers by compressing the time window for decision-making in a conflict or crisis situation. 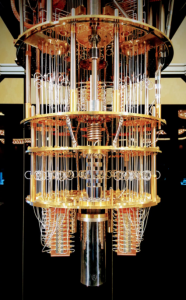 Another area of China’s focus is quantum technology, which uses subatomic mechanics to process and transmit information in a fraction of the time required by existing technology. 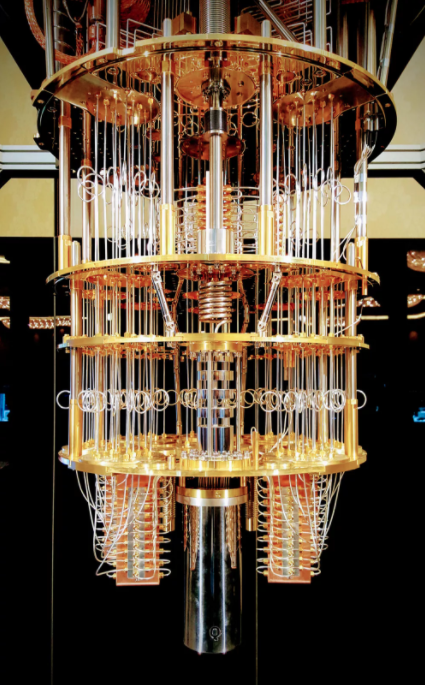 China is making rapid headway in quantum communication, computing and cryptography. In August 2016, China launched the world’s first quantum satellite. This enabled Chinese researchers to conduct cutting-edge experiments in quantum entanglement and teleportation. To win the quantum race, China announced last year that it will build the world’s largest quantum research facility at a cost of ¥76 billion ($A15.4 billion). Quantum technology would enable the Chinese military to set up virtually unbreakable communication networks. It would also provide it with overwhelming computing power for information operations, such as the decryption of secret communications by adversaries. China is also in the advanced stages of developing an electromagnetic railgun. This supergun uses electromagnetic energy to shoot powerful projectiles over vast distances at incredible speed. These projectiles are aerodynamic and their power comes from the kinetic damage generated by the intense speed at which they travel. Recent photos circulated on Chinese social media show what is suspected to be an experimental electromagnetic railgun mounted on the bow of the Chinese navy ship. This indicates that China may soon be the first in world to test such a weapon at sea, where it could revolutionise naval combat. In contrast, the US Navy is winding down its railgun research program because of resource constraints and shifting priorities. The above examples are only a few among dozens of high-tech fields in which China is making rapid progress. Others include biotechnology, robotics, supercomputing, nanotechnology, advanced materials, space technology, and artificial intelligence. In fact, the Chinese government has identified 17 engineering and science megaprojects that are key to China’s economic and military strength. These include advanced satellites, large nuclear reactors, large aircraft and high-end electronic chips. China’s continued rise as a technological giant will have profound implications for its military power as Beijing leverages civilian technology for its military. This effort is so important that President Xi considers it a top priority. To underscore this, Xi created a powerful commission under his direct leadership to provide high-level guidance and oversight. Much hinges on how Beijing chooses to use its new-found military and technological might. Indeed, China’s extensive geopolitical ambitions and increasingly assertive foreign policy are ominous signs that foreshadow the challenges ahead.